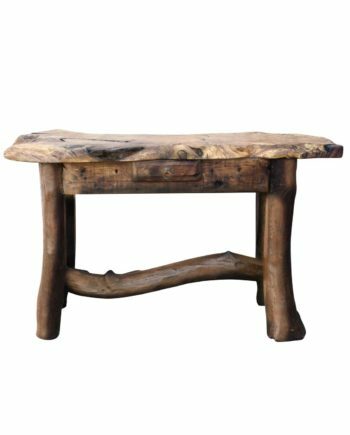 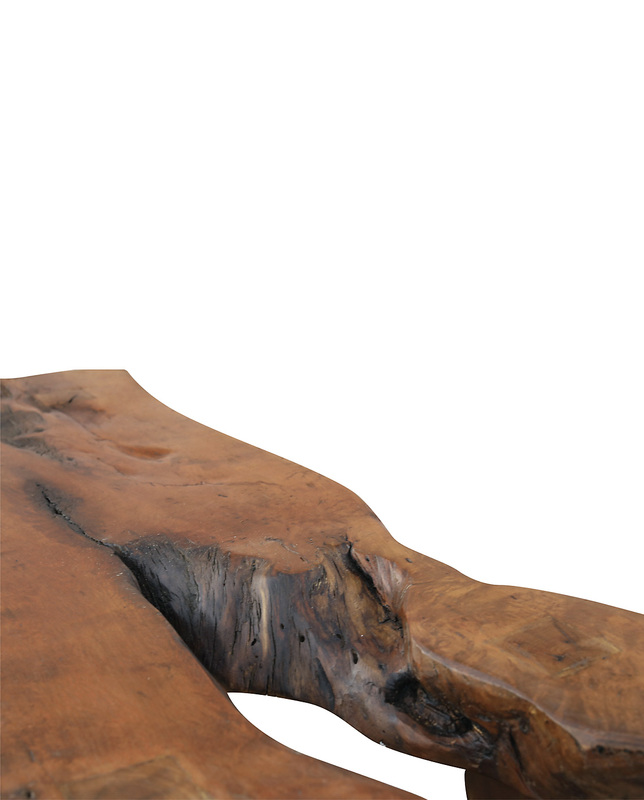 Welcome this conversation piece into your living room to become an expressive and functional part of your home. 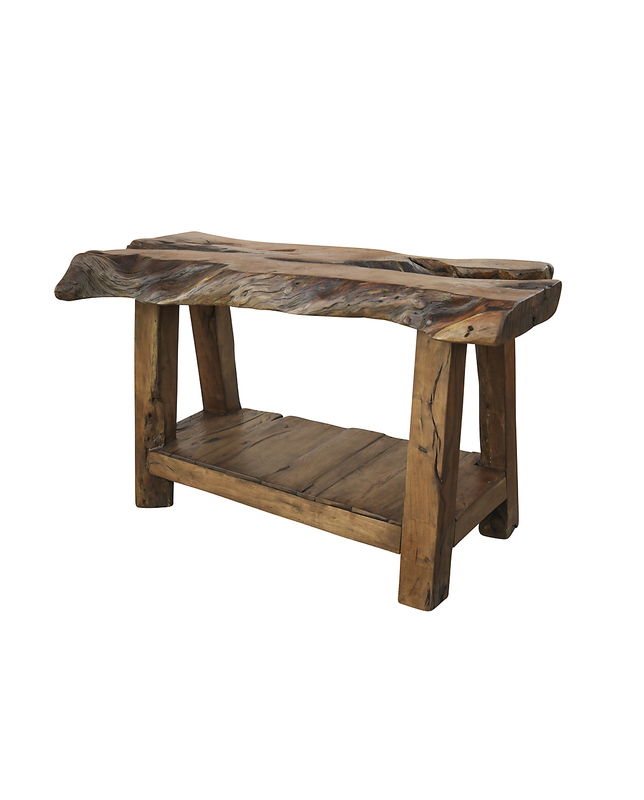 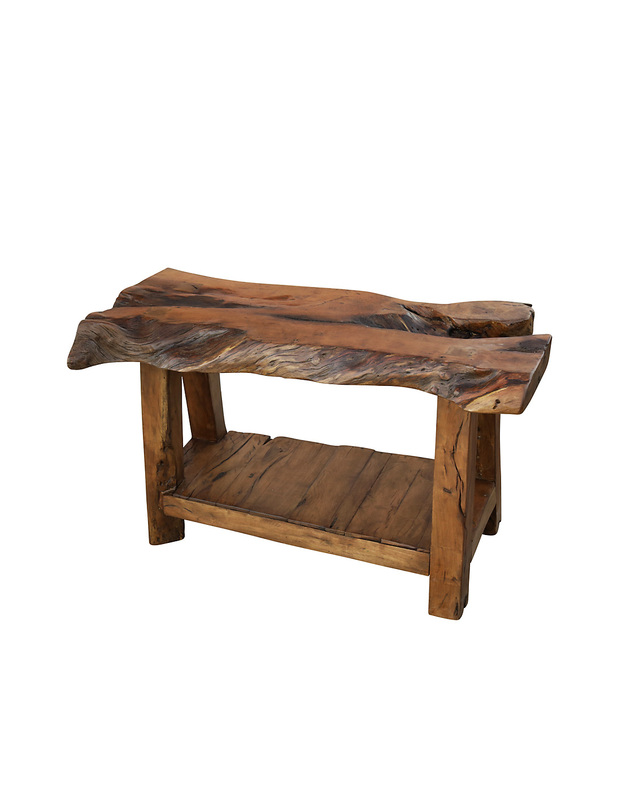 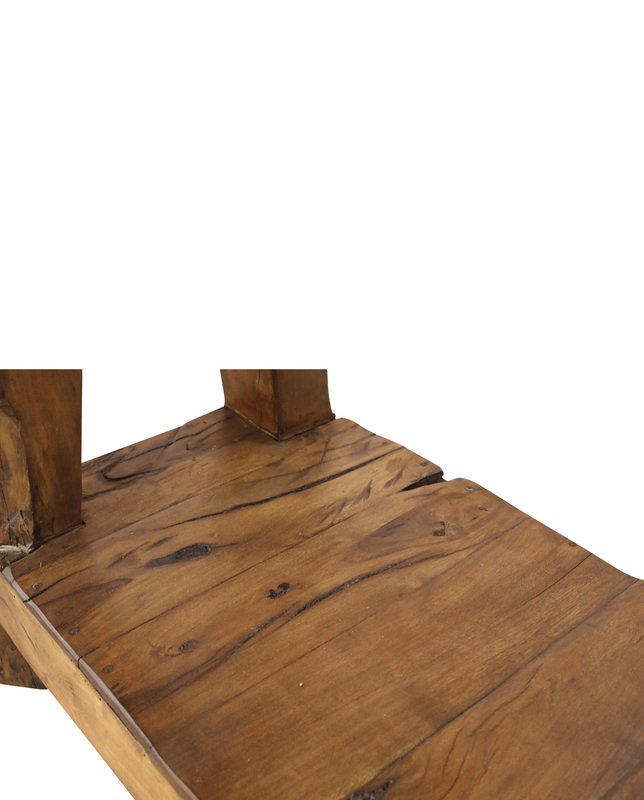 Solidly designed as a dominant piece, this handcrafted sofa table has strong appeal. 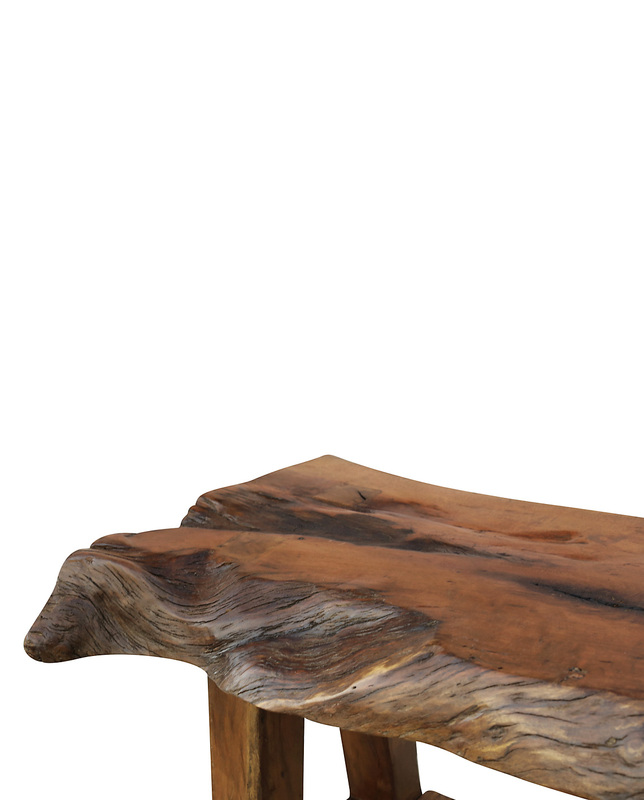 Made from solid, mesquite wood, each individual marking and curve catches the eye, while its sheer size creates an essence of power, strength and durability giving it undeniable character. 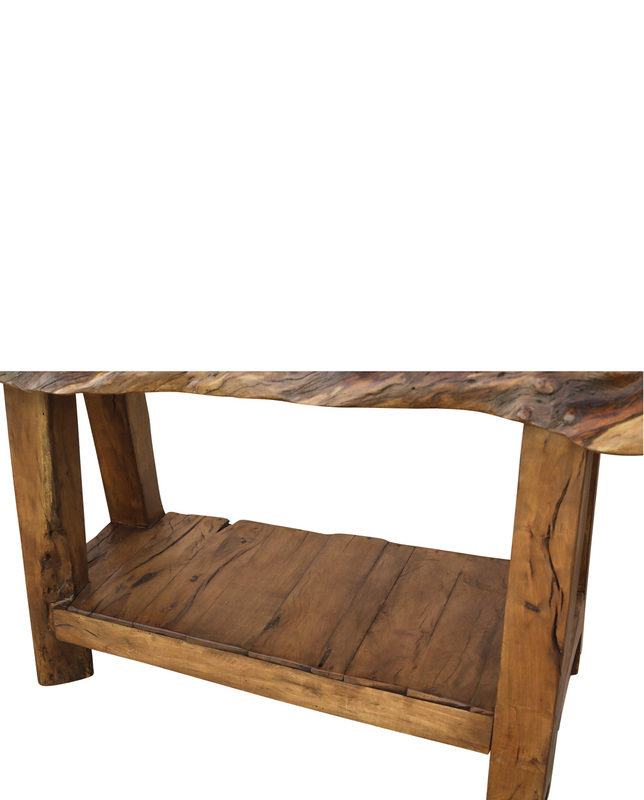 Its smooth top surface provides sufficient space for a sink of your choice and its plank board bottom shelf provides storage for all of your necessities.